Starbucks Thailand will be holding Jazz Shows for the month of December. % Arabica Cafe will open a new store in Dubai. Burger King Thailand opened two new stores in one week. Pizza Hut Malaysia unveiled their new Chicken Cheesy Bites. 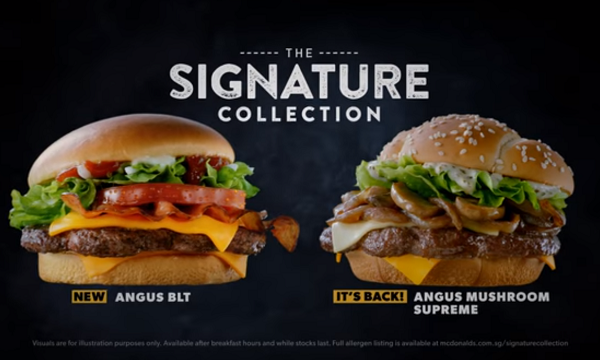 McDonald’s Singapore launched two new burgers for their Signature Collection, the Angus BLT and Angus Mushroom Supreme. Dunkin’ Donuts Philippines introduced their new Dunkcreations Mushroom Madness. Baskin Robbins Malaysia released their new ice cream flavour, White Winter Cherry. Domino’s Pizza Philippines offered 40% off on all ala carte pizzas.